RI-MAN, an autonomous lifestyle-support robot developed at RIKEN's Bio-Mimetic Control Research Center (Nagoya, Japan), now has soft skin. If put to work in care facilities, RI-MAN's soft arms and chest will enable it to perform delicate work that present-day robots are not allowed to do, such as lifting patients up into its arms. The robot, which is 158 cm (5 ft 2 in) tall and weighs about 100 kg (220 lbs), consists of a humanoid upper body that sits atop a wheeled base. A 5-mm layer of silicone covers most of the upper body, including the face and chest. The skin sinks in slightly when pressed, giving it a resilient, supple feeling. Under the layer of silicone are 320 pressure sensors that enable RI-MAN to self-adjust the softness as needed. Research team leader Zhiwei Luo says, "We may see commercial applications of this technology in as early as five years." UPDATE: Read RI-MAN revisited for more details. Cutting-edge technology meets art at Electrical Fantasista, an exhibit and series of events held at BankART Studio NYK in Yokohama (Feb 24 � Mar 14). The exhibit is divided into four zones that explore the future of modern lifestyle. 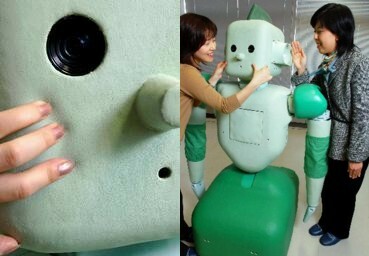 Artists and scientists from Japan have created robots and machines that rely on IT to bring comfort to people. The works in this zone fuse art with the latest in technology to evoke true delight, providing a glimpse into the future of relaxation. The "games" in Zone 2 are the stuff that fuels the development of games. But beware, these works of art from Germany and Japan venture dangerously into realms ordinary games only dream to go, which explains why gamers and developers from across the globe are dying to try them out. Zone 3 explores new types of experience in optics. Relying on the latest in optic technology, such as LED and sensors, the works in this zone go beyond the flashing of lights to magically stimulate all the senses. Here, visitors experience new forms of comfort and stimulation. Zone 4 features a selection of interactive art chosen the curators. See http://www.shift.jp.org for details. An unusual chocolate exhibit at the Yokohama Curry Museum may provide the perfect opportunity for gag gift shopping, whether it�s for your despicable boss or for yourself. 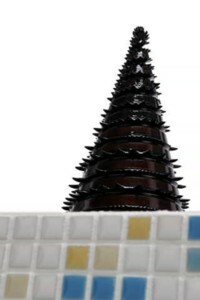 The exhibit features a selection of around 70 varieties of novelty chocolate, alcoholic chocolate, fruit chocolate, and joke chocolate, all of which are available for purchase. 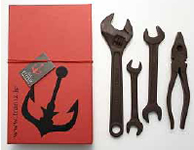 The exhibition will be held until March 31 in the Masaraya museum shop on the 7th floor of the museum. The curry chocolate, a Yokohama Curry Museum original, has sold particularly well -- 25,000 packages in January. 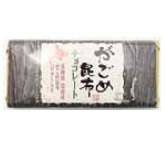 �At first it seems like regular chocolate," says museum official Takehisa Inoue, "but its subtle spicy aftertaste gives it an exquisite flavor.� Created with the cooperation of confectionery manufacturer Meiji Seika, the curry chocolate is made with a blend of various spices. In conjunction with the exhibit, the Petit Vert cafe on the 8th floor is serving fruitcake that looks just like a plate of curry (1,200 yen) until March 31. Created by Nobuyuki Yamamoto, former head pastry chef at Hotel New Grand (Yokohama), this dessert is a museum original with local roots. 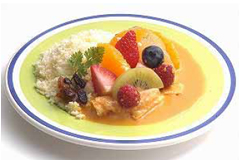 The "rice" is made from chocolate and sponge cake, and the "curry roux" consists of a mixture of turmeric and orange juice. Toshiba to postpone SED TV release until next year? On February 21, Toshiba announced the possibility of postponing the spring 2006 release date for its next-generation flat-screen SED (Surface-conduction Electron-emission Display) TV until next year. 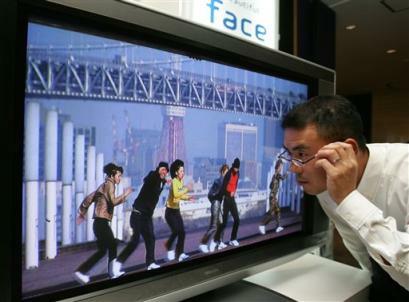 Toshiba has worked with Canon to develop SED TV technology. At a press conference on February 21, Satoshi Niikura, vice president of Toshiba�s digital media operations, said, "Because SED is still in the trial production stage, we are unable to secure a sufficient quantity of panels (key components)." The company will soon make a final decision regarding its strategy. SED panels are currently being manufactured on a trial basis at a joint-venture factory in the city of Hiratsuka in Kanagawa prefecture at a rate of about 1000 units per month. 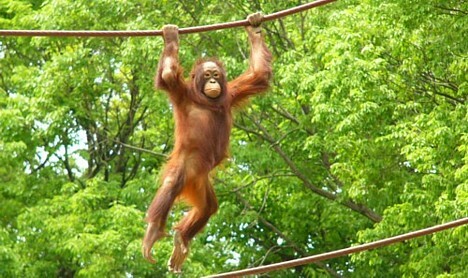 Full-scale production is not expected until 2007. 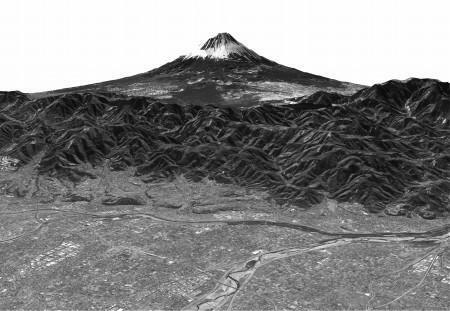 Outcrops of combustible ice, or methane hydrate (also known as methane ice or methane clathrate), which many view as a potential source of fuel in the future, have been discovered on the ocean floor near the coastal city of Joetsu in Niigata prefecture. According to a statement made by scientists on February 20, the methane hydrate appears to be the exposed tips of ice columns that extend about 100 meters (325 feet) beneath the ocean floor. The recent discovery marks the first time that exposed methane hydrate deposits have been found in Japanese waters. 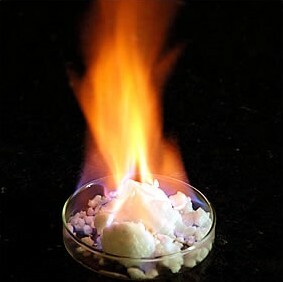 Methane hydrate, which is normally found several hundred meters beneath the ocean floor, is a sherbert-like substance that burns when exposed to flame. It forms when low temperature and high pressure under the ocean floor causes methane molecules to become trapped inside frozen water molecules. Scientists from the University of Tokyo, the Japan Agency for Marine-Earth Science and Technology (JAMSTEC), and the National Institute of Advanced Industrial Science and Technology (AIST) are working together to collect samples from two points located at depths of 800 to 1000 meters (2600 to 3300 feet), about 30 kilometers (19 miles) offshore. They are using unmanned submarines to collect the ice. Based on the high electrical conductivity of the ground beneath the ocean floor, the scientists suspect the existence of large underground columns of methane hydrate. While methane hydrate is being hailed as a potential source of fuel in the future, methane is a greenhouse gas. Methane is generated when organic matter in deep layers of sedimentary rock breaks down due to heating. The methane moves into upper layers, where it accumulates and forms methane hydrate. As the temperature rises and pressure falls, methane hydrate dissociates into methane and water. The resulting methane concentration in the surrounding seawater ranges from dozens to thousands of times higher than normal. The research group is also committed to exploring the impact that the use of methane hydrate will have on global warming. On February 17, Swedish brand Absolut Vodka, in cooperation with ICEHOTEL and Carrozzeria Japan (Chuo ward, Tokyo), opened the Absolut Icebar Tokyo near Gaien Nishi Dori (Nishi-Azabu 4-chome, Tel: 03-5464-2161). Everything in the icebar -- from the walls and bar counter down to the drinking glasses -- is made from ice, which is transported to Japan from the Torne River in northern Sweden. 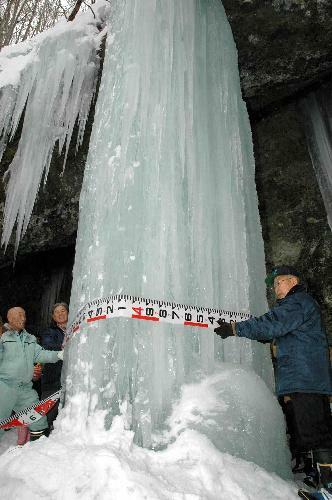 The ice is reportedly the purest in the world. 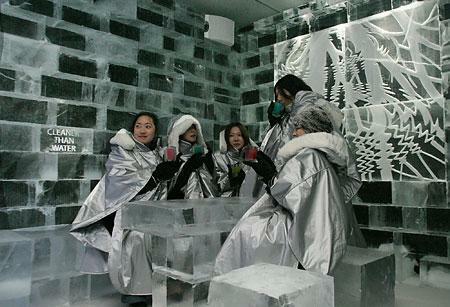 Absolut Icebar Tokyo is the first of its kind in Asia. Other branches of the bar are located in Stockholm, London, and Milan. Consistent in design with the European versions, the temperature inside the bar is -5 degrees Celsius (23 degrees Fahrenheit), and the entranceway is equipped with an airlock to keep the cold air inside. Specially designed thermal capes and gloves are provided to customers. The bar serves up a variety of original, Absolut Vodka-based cocktails. The price for one drink, which includes the entrance fee and use of a thermal cape and gloves, is 3,500 yen. Refills are priced at 1,200 yen (cocktails) and 1,000 yen (soft drinks), and a fresh ice glass costs 800 yen. With 75 square meters (800 square feet) of floor space, there is enough room for only one seated table and up to 50 people. Hours are from 5 PM to 12 midnight. The original Absolut Icebar was established at the ICEHOTEL, the world�s first hotel made from ice, located in Jukkasjarvi, northern Sweden.